† - $4.95 shipping and handling fee applies. 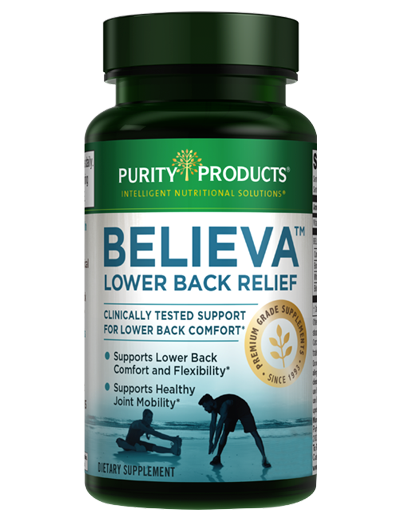 By accepting this Believa™ exclusive offer (15-day supply) you will be enrolled in our Super Saver program locking in the low Super Saver price of just $39.95 per bottle of (27% off the retail price). As a Super Saver you will receive three bottles every 90 days - each bottle is a 1-month supply. Your first delivery of 3 bottles will arrive about 2-3 weeks after you receive your first bottle, so you don't have to worry about missing a day. Purity Products will charge the credit card used today for your 3 bottle shipments. By registering your account online, or by calling Customer Care (1-888-769-7873), you can customize your order at any time by changing the frequency, date of shipment and/or number of bottles shipped out to you. If you want to discontinue the automatic shipment, call us within the first 15 days after receipt of your product, and you will never even be billed. ‡ - Not associated with health conditions or diseases.